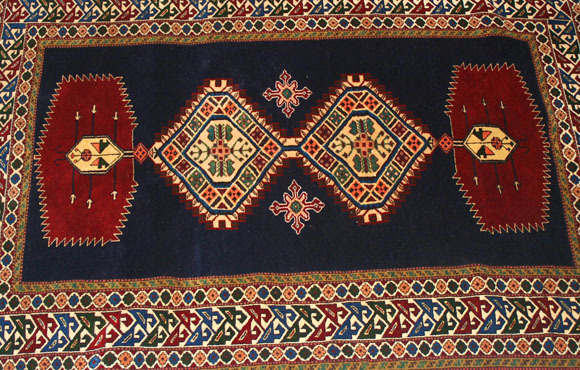 Caucasian carpets are usually produced in villages near the Caucasian mountains and use designs traditional to their tribal provinces. The main types are Daghestan, Shirvan, Kazak and Quba (Kuba) carpets. Caucasian rugs usually have bold geometric designs with primary colors. Pakistan also produces “Caucasian” carpets inspired by the design of the originals; the pile is usually lower, and the colors are often not as bright.